Spill damage is repairable at reasonable prices. Most leave our workshop paying between €100 – €450 depending on their problem. 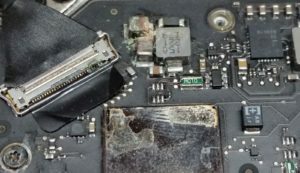 Apple often quotes €750 – €1250 to replace everything with a tier 4 repair because it’s easier for them to replace everything (and charge you accordingly). We repair the damaged components specifically and pass the savings onto you! 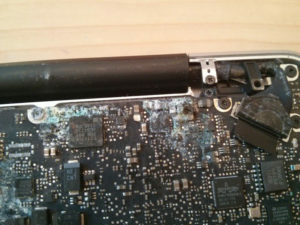 What if I spill liquid on my MacBook? This advice applies to liquid damaged MacBook, liquid damaged MacBook Air or liquid damaged MacBook Pro. First and foremost, immediately shut down the machine and remove ALL power, this includes the battery if removable. The chances of a short occurring as the liquid continues to travel within your machine are greatly reduced by removing the power quickly. Unplug ALL external devices such as hard drives; displays; keyboards etc. Dry off all visible liquid with absorbent towel. If the spillage was primarily on the keyboard, flip the machine over and rest the keyboard face down on a towel. 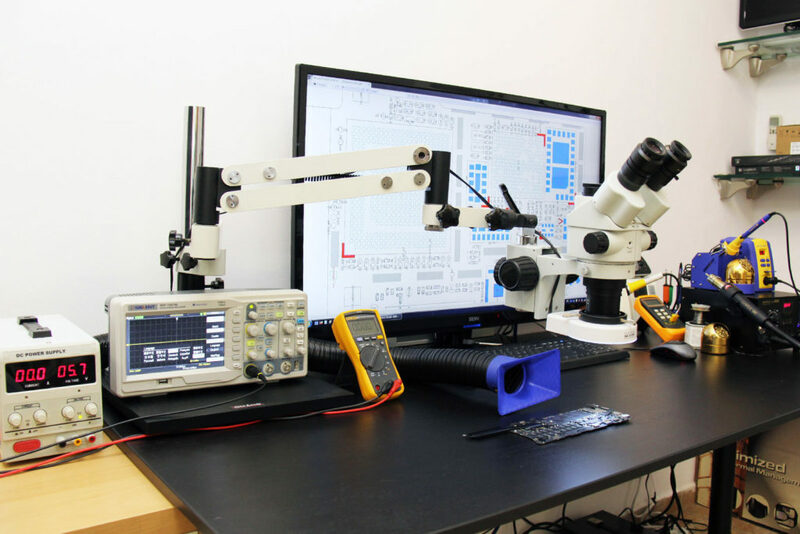 This can prevent the liquid from seeping further into the machine and causing damage to major components such as the main logic board. Allow the machine to dry out for a significant period of time. We would recommend at least 96 hours but longer may be necessary depending upon the environment. Storing the machine in a warm, dry place such as an airing cupboard will help with the drying process. When you are certain that the machine is dry, you can attempt to turn it on but we would recommend that you send it to us for a full inspection before you do.